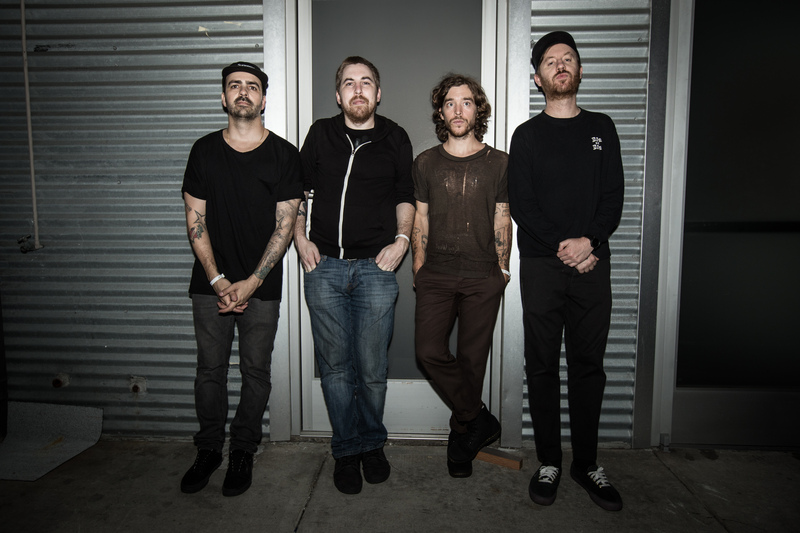 Formed in the early 00’s, THIS WILL DESTROY YOU have spent the last decade and a half touring the planet relentlessly between recording studio albums and core members Jeremy Galindo and Chris King scoring various films, television, culinary, and other creative entertainment projects in their relative downtime. The band initially broke in the United Kingdom despite their home base at the time being almost 5,000 miles away. 2006’s debut album Young Mountain was proclaimed “Album of the Year” in Rock Sound by then-editor Darren Taylor, igniting curiosity, interest, and touring opportunities unimaginable to that point. It was also during this time that the band’s label stateside began lining up synchronization opportunities that sowed the seeds for what was to come. 2008’s Self-Titled album ushered in an era where the band truly grew a global fanbase, as the record remains their top-grossing title to date and the band was able to graduate to headliner status in large venues everywhere. Toward the end of the album’s initial cycle, Hollywood and the entertainment world at large came calling in a major way, largely sparked by Brad Pitt and director Bennett Miller’s passionate enthusiasm for the band. The duo initially paired THIS WILL DESTROY YOU’s “The Mighty Rio Grande” to 5 crucial acts in 2011’s “Moneyball,” with “Villa Del Refugio” then going into Pitt’s subsequent “World War Z” and Miller’s next film “Foxcatcher.” The licensing landscape exploded from there, as the band and the first two albums were represented across all major sporting events (Super Bowl, World Series, Stanley Cup, Wimbledon, ESPY’s, et al), cultural shifts (the UFC’s rollout package for Ronda Rousey), Hollywood’s biggest night (see: Tom Cruise introducing the nominees and awarding “Best Picture” over “The Mighty Rio Grande” at the 2012 Oscars), and numerous Emmy-award winning dramas on television. From 2016-2018, the band was able to successfully stage special 10th anniversary shows and tours celebrating Young Mountain and Self-Titled at high-capacity, sold out gigs around the globe, punctuated by being hand-picked by The Cure to perform in front of tens of thousands at the band’s 40th anniversary concert in London’s historic Hyde Park. On the front end of that cycle, Galindo and King also managed to successfully pull off writing and recording the ambitious score to the most talked-about new restaurant of 2018, Los Angeles, Calfornia’s Vespertine. Rather than rest on the laurels of an enormous, two-year victory lap around the globe, THIS WILL DESTROY YOU will drop their fifth studio full-length album on September 28, 2018. Another full North American headlining tour follows in the biggest venues the band has carried to date with plenty more activity TBA.